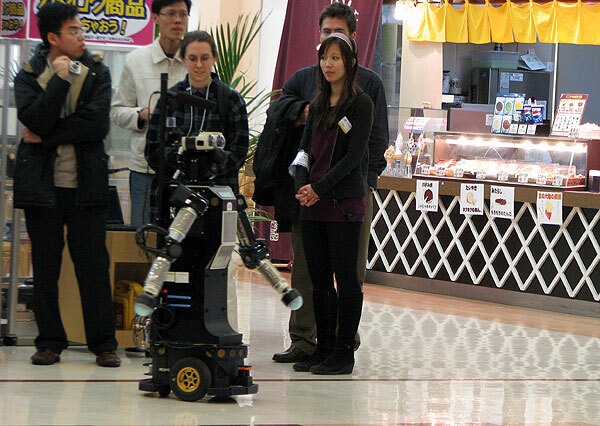 Of course, my main reason for visiting Japan was to present a poster of my work at the HRI 2010 robotics conference. 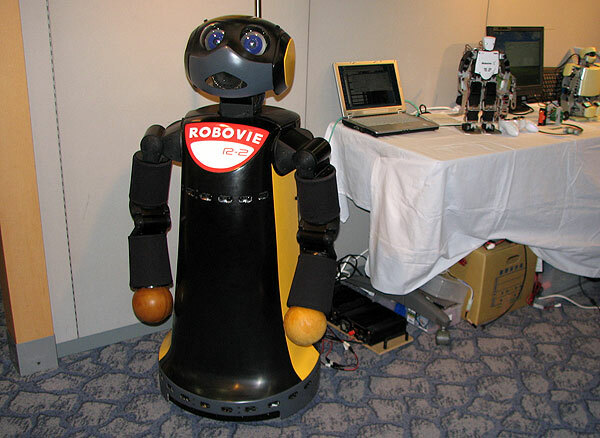 Robovie is one of the many robots being shown and discussed here. You may remember these guys from my pictures of last year’s Japan visit. They made an appearance again here. These robots are quite expensive as I found out after last year, at over $25,000 each! An optional bus tour was offered as part of the conference. One part of the tour took us to a grocery store where this robot was demonstrated as a shopping assistant. The robot helped guide an elderly woman through the entrance of the store. 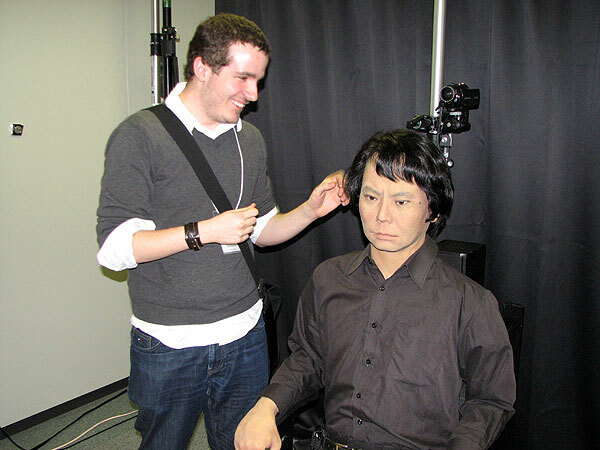 This is me with the famous Ishiguro android. Although it can be very hard to tell, I am the only actual person in this photo. I am looking towards the robot which has been designed almost exactly like its creator. 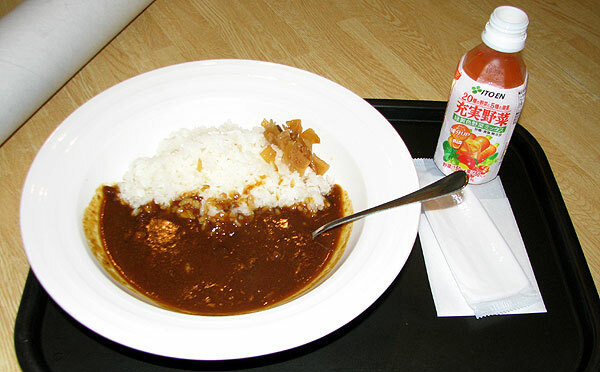 This concludes my Japan 2010 blog posts. More updates coming soon, including a few photos from my quick stop in San Francisco on the way back from Japan. After being in the Tokyo area, I took the famous Bullet Train to Osaka. This view from my hotel window shows the characteristics of this particular neighbourhood as well as the city as a whole. In this shot, you can see the highway running over a river with roads snaking around all over the place. 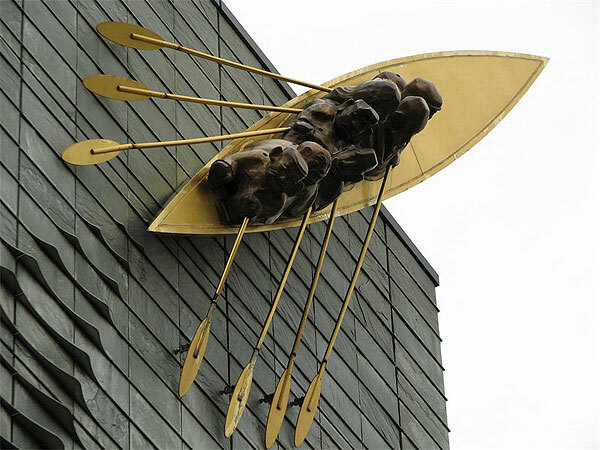 This is some public artwork near the top of the Business Innovation Center, where the conference took place. 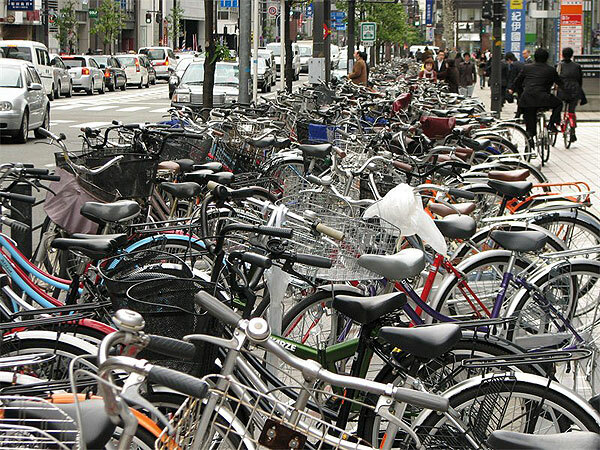 Lots and lots of bikes! It is actually somewhat dangerous to walk on sidewalks as people riding bicycles zoom past and around you. I witnessed a person on a bicycle running into a person who was walking. No one was hurt, as the bike wasn’t going fast. 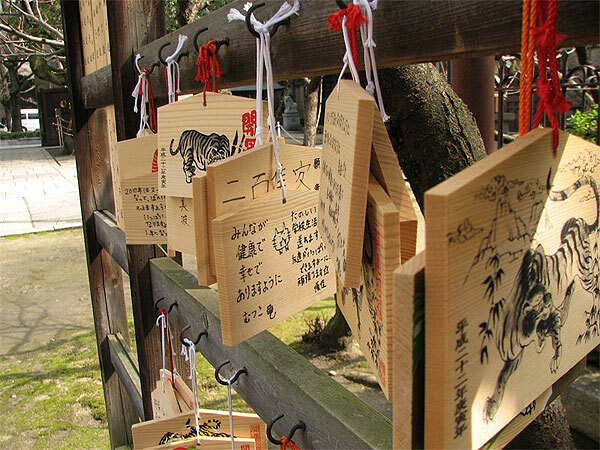 I visited a temple on the way to the shopping district. 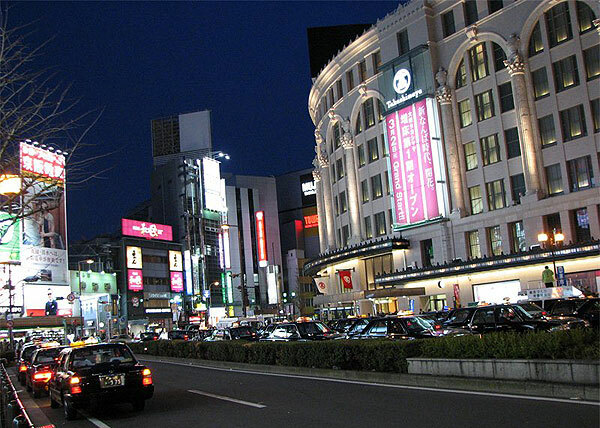 A night shot of a large department store which isn’t far from other shopping districts and a major train station. This department store occupies pretty much all of the large building, which isn’t something we see too much of in Calgary. 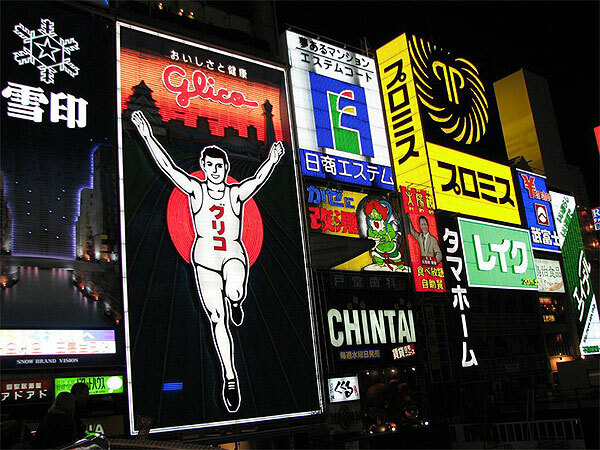 A night shot of a famous display of ads, including the walking man. Although you can’t see in this still, many of these ads are animated in some way. More photos from Osaka are in my Gallery. I have been fortunate enough to visit Japan a second time, once again to present work at a conference. 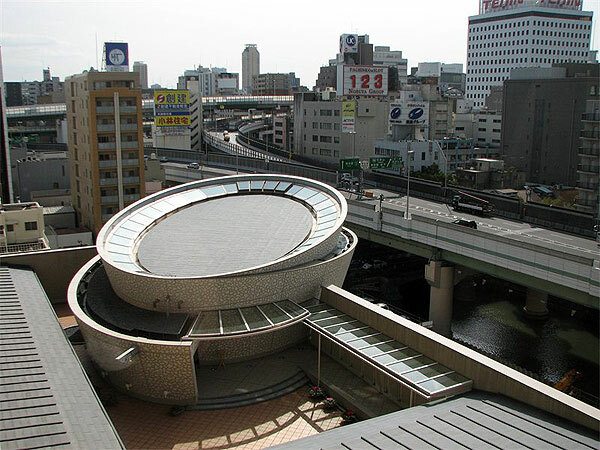 The first stop was Tokyo and a nearby small town of Hiratsuka. 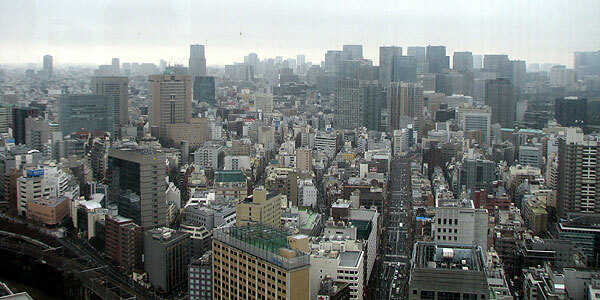 This is just part of the big city of Tokyo. I had a nice view from my hotel room here. This neighbourhood is very expensive to live in. 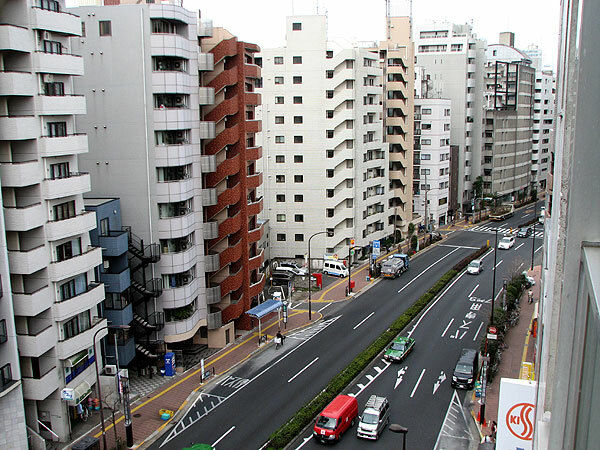 Streets in Japan are often much narrower compared to what North Americans are used to. 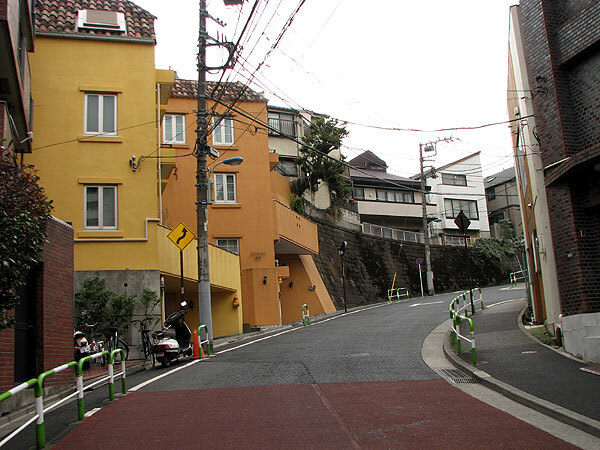 This is most likely a two way street, though some areas are unpassable by two opposing cars at the same time. In these cases, drivers must simply look for traffic ahead before proceeding. 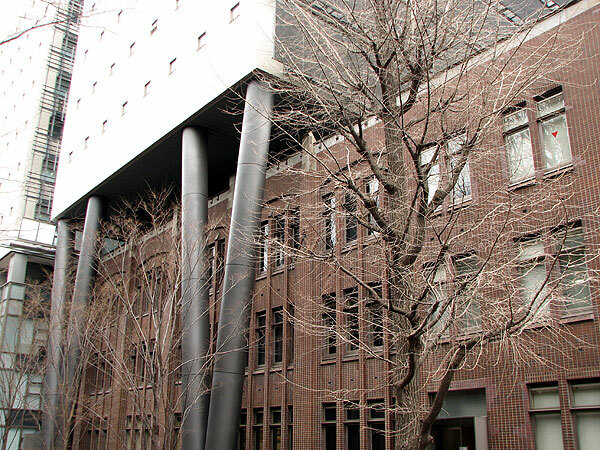 I viewed some academic seminars at the University of Tokyo. On campus, space is apparently very limited. In the foreground of this picture, you see two buildings, not one. The upper building is supported completely separated from the building below. I had one day in the small city of Hiratsuka. It was very rainy and as we were walking away from the ocean, announcements came through the city over loudspeakers that a tsunami was expected in a few hours due to the Chile earthquake. Being next to the ocean in this location made me a bit nervous! 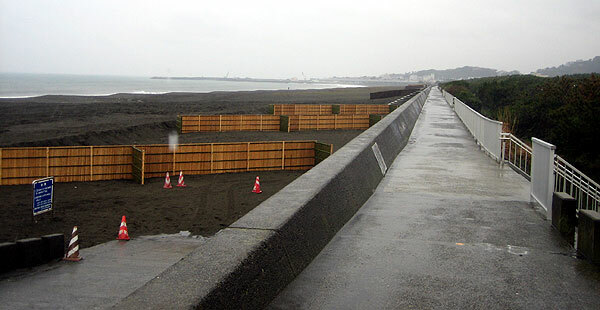 The Japanese train operators were also nervous because of the possible tsunami. 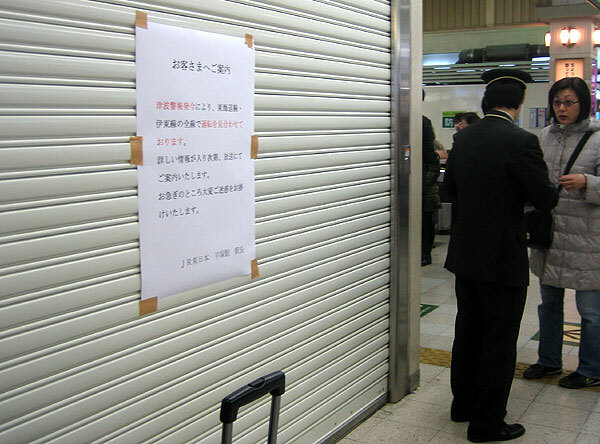 The local train station was closed just before I was supposed to board one for Osaka. Although I did make it to another station by car farther away, my plans that day were delayed by several hours. I have posted more pictures in my gallery, and am working on more blog posts to post soon!